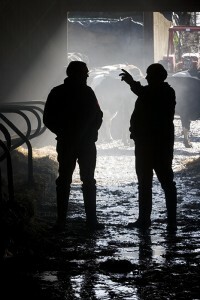 Whatever your challenges, from practical to strategic, we have the expertise to help you get the best from your farm. Our team of Agricultural Consultants and Associates bring their skills and expertise to your door wherever you farm in the UK. Their advice is backed up by the latest research from Kingshay’s independent trials and data, keeping you up to date and abreast of the latest developments in the UK dairy industry. All of our Consultants come from practical farming backgrounds and have agricultural qualifications. With our own team located across the country and our network of independent associates, you are never far from a Kingshay adviser keen to help you get the best from your farm resources. Our key aim is to provide you with well researched, independent and practical advice, allowing you to make real improvements to your farming operations. Our Consultants understand the challenges you face. Their role is to make your life easier and your farm more profitable. Feeding – Balanced rations for your milking cows, dry cows and youngstock. Fertility – Analysis of records and advice on practical ways to improve herd fertility. Soils, forage, fertiliser, NVZ and grazing planning - Managing the resources on your farm is key to maximising your profits and saving cash. Business strategy and planning - Milk production forecasting, cashflows and development of business plans. Cost control – With Kingshay Dairy Manager costings. Other enterprises – Advice and planning on environmental stewardship schemes, energy efficiency, other livestock and arable enterprises. Put our consultants to the test – whether you need your herd nutrition sorting out, fertiliser and forage plans in place or a detailed budget for the bank manager – our team can help you. P & L Consulting - Experts in a wide variety of fam disciplines, including Farm Building Design, Business & Nutritional Advice, NVZs and Organic Farming, Financial Monitoring and Grant Funding. Brian Leggat - Milk Quality including Bactoscans, Thermoduric counts and SCC’s and best practice for reducing antibiotic residue failures. At Kingshay, we recognise that every farm is different, which is why we offer a tailored service to meet your needs. Our consultants will agree an advice package with you and visit your farm as frequently as needed, keeping a watching brief in between visits.